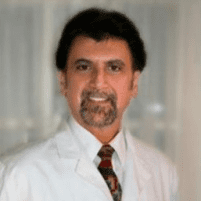 Dr. Jack Monaco helps women reduce or eliminate the signs and symptoms of menopause and restore their youthful energy and health at Nashville Hormone & Integrative Medicine in Nashville, Tennessee. Menopause doesn’t have to be life-changing; there are natural, safe, and effective therapies on the market. When is the best time to seek treatment at Nashville Hormone & Integrative Medicine? Many patients wait until they begin experiencing the symptoms of menopause, but having hormone levels checked before the onset of hormonal decline is important in establishing a baseline. Knowing the baseline allows the patient and Dr. Monaco to closely monitor hormone levels and intervene at the right time. Having hormone levels checked early can also help patients identify perimenopause early; it occurs gradually over many years and may not be apparent immediately following onset. How long does it take to notice a change? When symptoms are resolved depends on the length of time it takes to achieve true hormone balance. Women in the throes of perimenopause generally notice an improvement in night sweats and hot flashes in just a few days, while it may take a few months to notice cognitive and memory benefits. Does BHRT cause weight gain? A decline in natural hormone production causes weight gain. As a matter of fact, many women over age 35 find that regardless of their diet and exercise regimen, they struggle to manage their weight. By balancing hormone levels, the patient allows her body to work the way it did when she was younger, improving her metabolism and ability to maintain a healthy weight, during both perimenopause and post menopause. Does BHRT work without any lifestyle change? BHRT is most effective when combined with a healthy diet, exercise routine, and stress management in place to address the health and well-being of the whole patient. Each of these is an important part of postmenopause health and wellness. Does BHRT require a prescription? In some cases, bioidentical hormones can be purchased without a prescription, but the strength is approximately 1/10th of the same prescription-grade hormone. In order to receive maximum benefit, patients must work closely with a regenerative medicine doctor who can prescribe full-strength bioidentical hormones and monitor their efficacy in the body.